Cervical Cancer is the most common female cancer in developing countries, with approximately 500,000 new cases and 250,000 deaths each year. 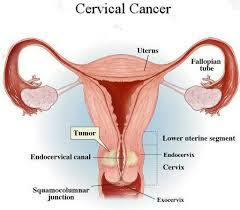 In Nigeria, it is thesecond most frequent cancer in women, after breast cancer. Around the world, a woman dies of cervical cancer every two minutes. Women in developing countries suffer disproportionately from the burden of cervical cancer and account for over 80% of cases. Ada Ezeokoli and Chioma Thomas of the Nigeria Health Watch team recently visited a cervical cancer screening project run by the Society for Family Health in Nyanya, Abuja, to learn about the work they are doing to improve the awareness and treatment of this silent killer amongst women. Cynthia sits quietly with a group of other women at Saffron Hospital in Nyanya, an outlying annex to the city of Abuja. The women are waiting for a nurse to check their vitals and do some paperwork before being ushered into an adjoining room where a doctor and two other hospital personnel are waiting to conduct a simple screening test that will tell if a woman has changes in her cervix that may dispose her to cervical cancer (Cervical pre-cancer). Some of the women, clutching small children, look around nervously. Cynthia however is calm. She is not here to be tested. She has already been diagnosed with cervical pre-cancer and is undergoing cryotherapy treatment, which involves using a cold probe to freeze away the abnormal cells. Until recently, a service like this would not have been available to Cynthia in Nigeria.